We all strive to be healthy & glowing from the inside out but forget one important factor.... CHEMICAL EXPOSURE! In today's world we are surrounded by pollution, chemicals & false marketing from Major Cosmetic Companies whom paint a picture of healthy skin through air brushed models & the promise of a healthy GLOW! We focus so much energy & time on what we eat, the supplements we take & our exercise routines that we forget about what we are putting on our skin, the chemicals used in most big brand name cosmetics as listed below are not only being absorbed through the skin into your system but reeking havoc on your insides & causing free radical damage. The skin is actually quite an uncomplicated organ & only needs the basics to be happy, nourished & glowing. The skin naturally produces SEBUM from the Sebaceous Gland which is an oil used in the protection & hydration of the skin. When the skin is dehydrated or dried out from over cleansing with harsh chemicals it can then over produce causing skin issues like blemishes, blackheads & white heads. So as you see can see, THE SKIN IS NOT COMPLICATED! Don't be sucked in to gimmicks, marketing & false promises as if you EAT WELL, KEEP HYDRATED & USE A BASIC NATURAL SKIN CARE RANGE YOUR SKIN & INSIDES WILL BLOSSOM WITH VITALITY. 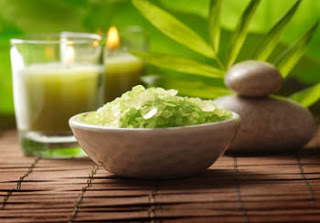 Here is a link to an A-Z list of harmful chemicals used in your comercial skin care & cosmetics. When unsure always check your labels against this list. This is the BIBLE when it comes to additives in not only your food but cosmetics. This book can be purchased from all good book stores, healthfood stores & online from the link below. Keep hydrated, allot of skin issues can be resolved with simply increasing your daily water intake. Keep your blood sugar levels regulated e.g. skipping meals, have small snacks throughout the day. many brands claim to put high potency Vitamin C on your skin when in fact it is much better to take a good quality Vitamin C powder e.g. Collagen synthesis. Add Super Greens & Fresh Juices into your daily routine as this combats free radical damage, Oxidative stress & increases your intake of Antioxidants. Eating a balanced diet full of wholefoods, Maxim hydration & limited packaged foods will have not only your skin glowing but your insides to. 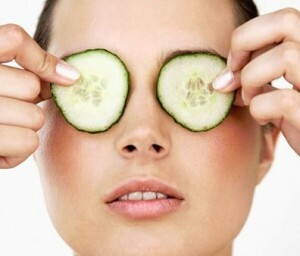 RELAX - stress also is a major precursor in oxidative stress which in turn effects your skin. Enjoy Yoga, Meditation, Reading, Painting or whatever it may be that gives you time out for YOU at least 3 times per week. http://orgess.com/ - VERY SPECIAL LIP BALMS & BODY CREAMS Which are all in Biodegrdable packaging. http://www.livingnature.com/ - SPECIAL PRODUCTS DIRECT FROM NATURE.